Illumination takes us on a healing journey, inspired by the timeless wisdom of shamanism and the latest discoveries of neurobiology. Through various stages in this process of initiation, we discover how to free ourselves from the pain and drama of our unhealed emotions. And once we have learned this, we can attain illumination. Life itself invites us to be initiated through many means-the possibility of love, the loss of a parent or friend, the birth of a child, or a serious health crisis. And true initiation occurs when we face personal challenges and experience the spiritual rebirth-or initiation-that follows. Illumination shows us how to bid goodbye to our past, discover a sacred space of spirit and joy, and unite the body and soul. 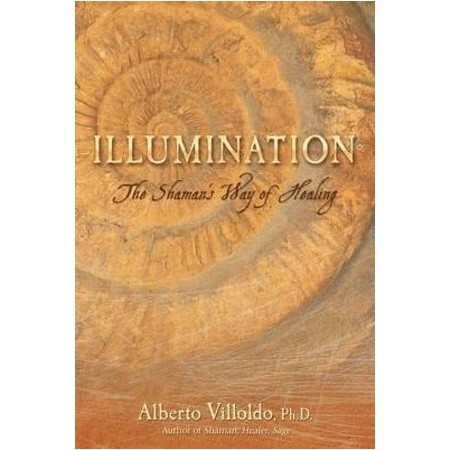 Alberto Villoldo, Ph.D., is the author of several books, including Shaman, Healer, Sage; Courageous Dreaming; The Four Insights; and Mending the Past & Healing The Future With Soul Retrieval. A psychologist and medical anthropologist, Villoldo has studied the healing practices of the Amazon and Inka shamans for more than 25 years. While at San Francisco State University, he founded the Biological Self-Regulation Laboratory to study how the mind creates psychosomatic health and disease. Dr. Villoldo directs The Four Winds Society, where he trains individuals in the U.S. and Europe in the practice of energy medicine and soul retrieval.